For those who find the small cactus style metal clutches that come with most post earrings uncomfortable we highly recommend these plastic comfort clutches. Containing no metal, these clutches are truly hypoallergenic. 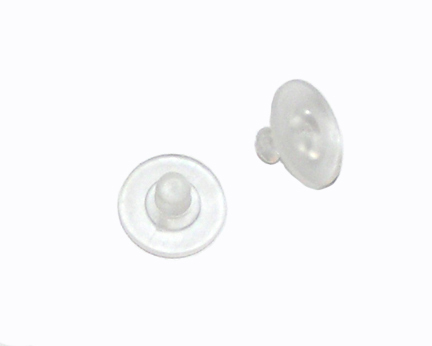 The disc is 11mm in diameter which provides better support for heavy post earrings.